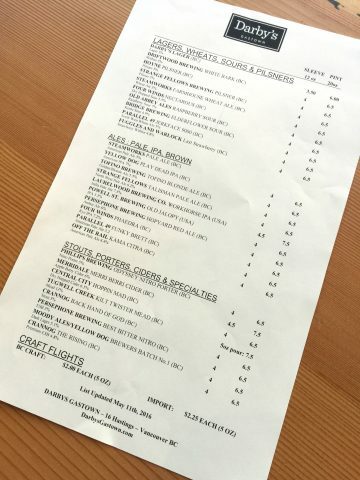 They have 30 taps at Gastown; 28 craft beer and 2 wine. 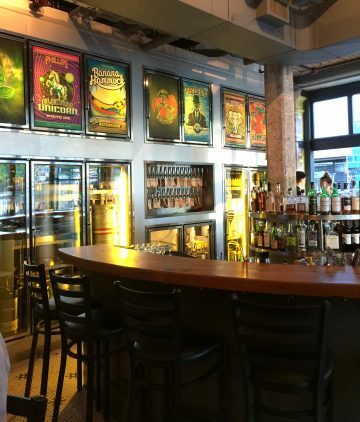 They also have the ability to do as many as 6 casks at once, which they plan to grow into. “Our goal is to build a place in Gastown similar to the vibe and atmosphere of our Kitsilano location. 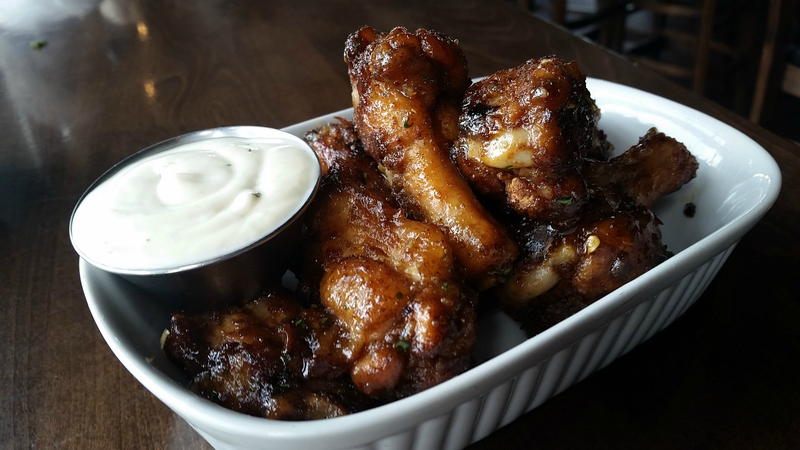 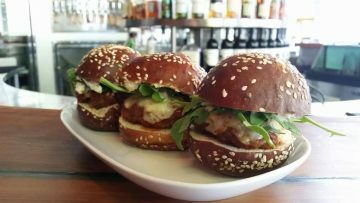 A neighbourhood establishment with one of Vancouver’s best selections of rotating craft beer and locally sourced comfort food from Chef AJ Jackson. 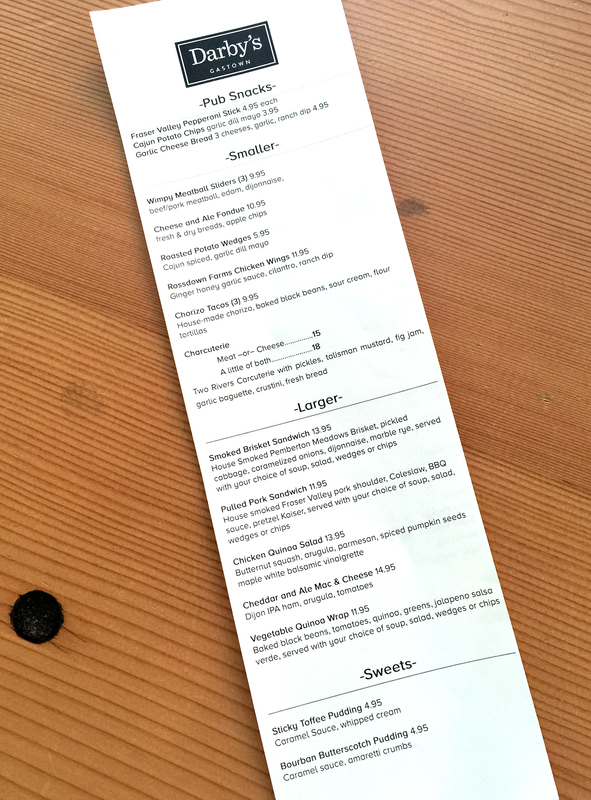 Everybody is welcome, whether you wearing a three piece suit, or board shorts and flip flops. 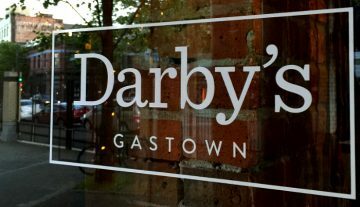 If you love all things craft beer and comfort food you will like what we are doing at Darby’s Gastown. One difference at our Gastown location is our selection of Cocktails. 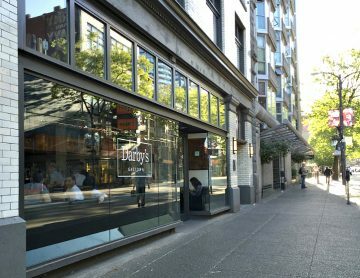 We are a little more cocktail forward at Darby’s Gastown than at Darby’s Kitsilano, but we have plans to change that in Kits as well. 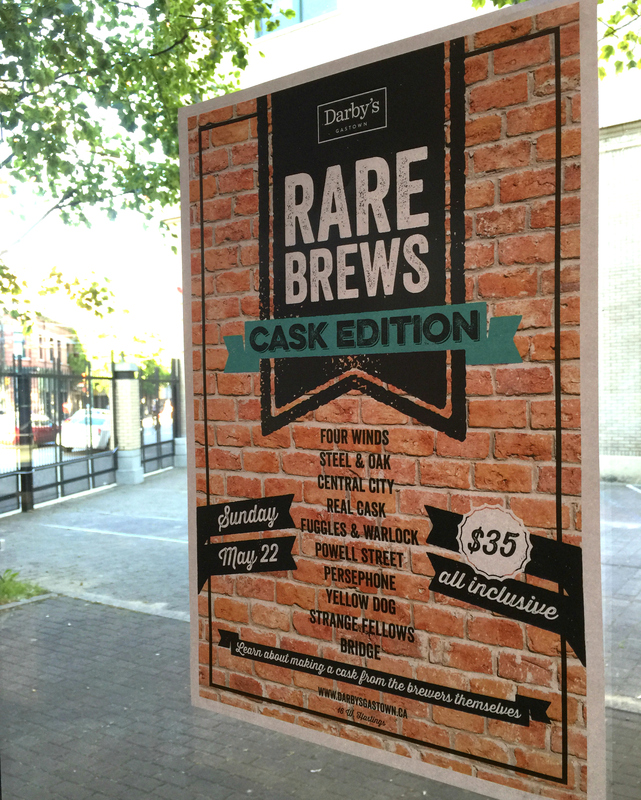 The focus of our taps will mirror closely to what we have been doing at Darby’s Kitsilano. The goal is to offer a selection of beer that both supports and celebrates BC’s craft beer diversity and its amazing breweries. 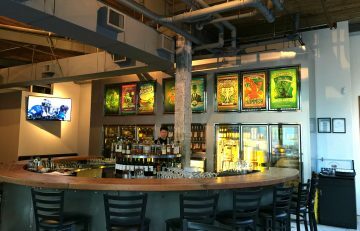 We will be focused on having a rotating tap list that will feature some of our most unique and sought after local beers as well as the many loved local mainstays. While focusing on mostly local beers we will also feature beers from some of the best breweries all over the Pacific Northwest down to Southern California. 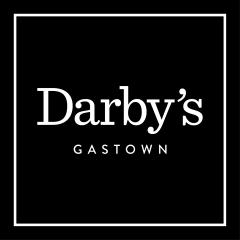 Darby’s in Kitsilano is famous for its patio and you may remember that this location (Bitter) did once have a patio too. Well, Brendan assures me they are working on a plan for a patio resurrection in Gastown. 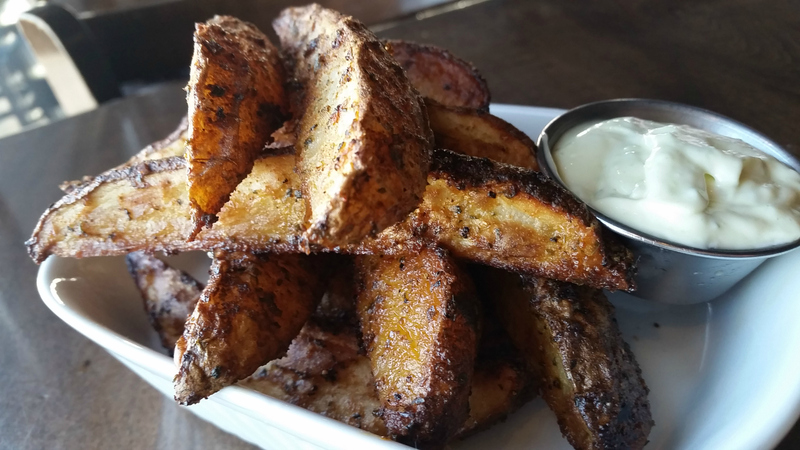 They’d like to have something going for the summer it might be closer to next patio season. On May 22nd was Darby’s Gastown Rare Brews: CASK Edition. 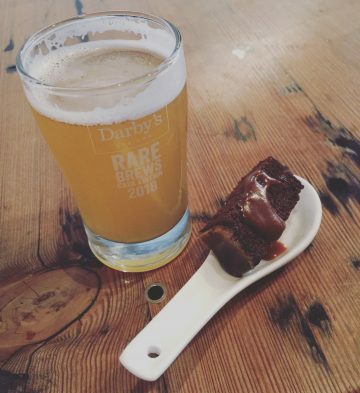 The SOLD OUT event featured 10 casks from some of BC’s best breweries, along with food from Chef AJ Jackson. 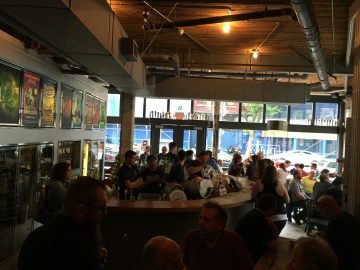 Participating breweries were: Four Winds, Steel & Oak, Central City, Real Cask, Fuggles & Warlock, Powell Street, Persephone, Yellow Dog, Strange Fellows and Bridge. 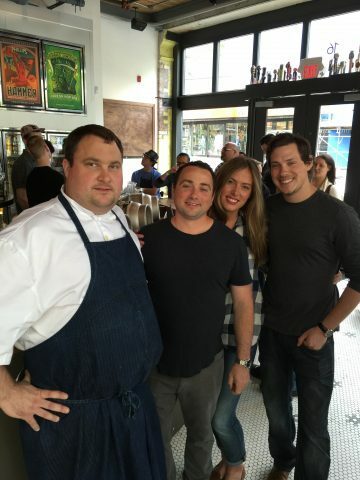 It was a fantastic event and a great time was had by all! 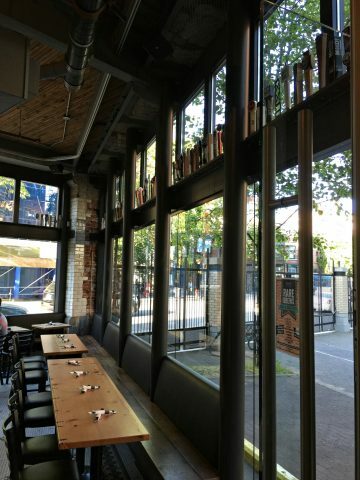 Check out Gastown’s newest gem and neighbourhood hangout for a pint or two. 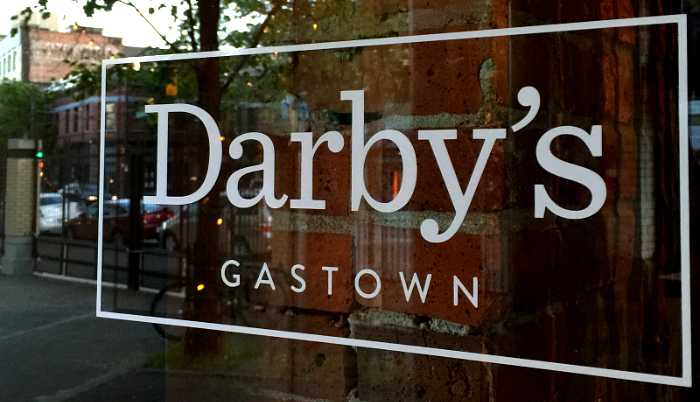 You can keep up to date on Darby’s Gastown through social media. Facebook, Twitter, Instagram. Stay tuned for info on their June Grand Opening festivities. Monica writes for BC Ale Trail, What's Brewing and other online publications. 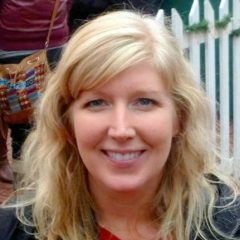 Find her at Socially_Monica | Communications, Social Media and Digital Marketing | Vancouver Brewery Tours, BC Beer Awards and What's Brewing BC | Craft Beer and Community | What it's all about!